SUCCESS IS NO ACCIDENT – A TEACHER TIP FROM MRS. SELIGER! 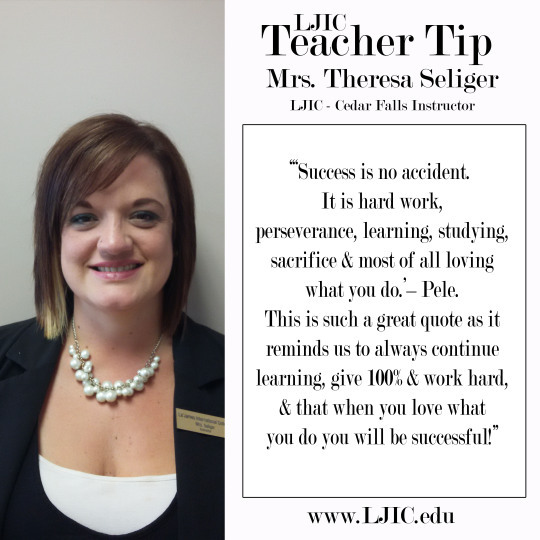 Today’s teacher tip comes from Mrs. Theresa Seliger, an Instructor at La’ James International College in Cedar Falls. Thank you Mrs. Seliger for the great advice!